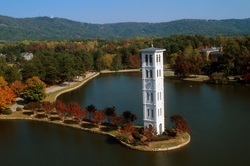 Attended Furman University – Music Major, University of South Carolina – Sociology Major. Andy was honored by the Beaufort Chamber Orchestra. Recipient – Commendation of Speaker of S.C.
Graduate – 1997 Governor's School of the Performing Arts – Honors Program. Intensive 5 week school at Furman University. Performed in Orchestra, Chorus, Quartet and Solo. Bach, Mozart, Telemann, etc.